Last month saw a delegation from the CGAO, led by our Chair & Vice Chair (Orser & Johnstone), bounce into Las Vegas for the annual Gaming Conference held in that city. This is one of the big conferences of the numerous ones that are staged around the world each year. It attracts a broader audience from a range of sectors within the gaming industry. Team CGAO always see value in the conference purely from gauging where the trends are heading and sharing experiences with other people, companies or suppliers who wish to exchange information and learnings. One element of the conference, which is a very visual experience, is the trade floor. Here you see where technology is shaping the gaming experience and how far behind the bingo sector (certainly in North America) really is. The great use of WIFI as a delivery platform allows for greater flexibility and functionality with platforms like the Bet-Cloud (WMS). This is what is extremely exciting and can offer greater opportunities for the future if it could be introduced to the c-Gaming platform. What is now universally accepted is that all retail venues are experiencing the challenge to remain relevant to the current consumer and engage them in a customer experience that will appeal and stick. As the CGAO has been stating for some time, it is more about offering multiple experiences simultaneously under one roof that will engage & excite a broader customer base. 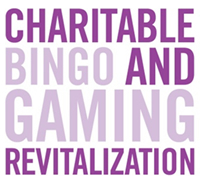 The Revitalization of Charitable (Bingo) Gaming continues to maintain its traction in the marketplace. A further Centre joined the program on the 8th October 2014, when the Delta Gaming Centre (Uncle Sam’s) converted to c-Gaming. It was a low key day but it was extremely encouraging to see the Local Charity Representatives, Municipal Licencing Officer and Delta Gaming Board in attendance. The commitment by each of these organizations ensures that the Centre would not be left behind and would join the fellow operator in the market (Golden Nugget)in this exciting platform. We have two (2) further Centres to convert (in Simcoe and Thunder Bay) before the year ends, which speaks volumes for the reach this program now has in the province. Every corner has a c-Gaming Centre servicing a community and enriching those communities through the excellent work that our Charity partners do. On the marketing front, we have recently held a meeting with Mr. Bob Longman and his Team on a greater understanding on the 2% & 5% marketing contribution and seeing how we can best deploy these funds to maximize their output and value in the marketplace. Clearly, we can see that marketing and the value of effective marketing will take on greater importance as we move forward. Deploying the right resources of this business discipline is going to be required for the future. There was further discussion on the Tool-Box and how we can use this platform to streamline processes and timelines, which I felt was constructive in understanding the challenges on both sides (OLG & Commercial Operators). We will re-group with Bob in the coming weeks. 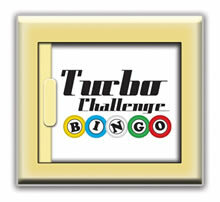 In reference to products,the Turbo Challenge is still being deployed in Centres and will be completed by the end of November 2014. This launch has not been without its challenges but through open dialogue between the teams of the OLG & CGAO we have been looking at some updates that will ease the process and playing applications of the system. These are now being worked through on the technical side and we hope to be able to make these changes in the near future. 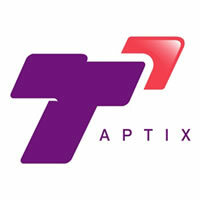 In reference, TapTix enhancements are being introduced. Single Ply and the Promotional Voucher and other changes are likely to come forth in the New Year (such as Multi-Bet and In-House Progressive). This will make the games more engaging and we will look to see if they can broaden the reach of the consumer base and re-engage lapsed customers back into the c-Gaming Centres. This once again shows the tremendous commitment by all partners (OLG, CGAO, OCGA & Municipalities) to see Charitable Gaming revitalized in this province. Since undertaking the c-Gaming file at the OLG, Mr. Greg McKenzie – Senior Vice President (Lottery & c-Gaming) has indeed Hit the Ground Running, meeting with the senior c-Gaming Team at the OLG, our Charity Partners (OCGA) and then with me (CGAO) on the 21st October 2014. It was, in my mind, refreshing to engage in open, direct and fulsome discussion on the program and the challenges from both sides of the partnership. It is clear from my meeting that the Customer Experience & Customer Awareness are two critical pieces we need to get on top of to move the program to the next level. It is further about the total market integration of gaming where one channel doesn’t cannibalize another. There is room to grow each channel if done in a coordinated fashion. In the coming weeks Greg intends to get out and visit some c-Gaming Centres and speak directly with Commercial Operators. The first of these planned visits will be Delta Gaming Centre – St. Clair and meeting with our Vice Chair, Mr. Cam Johnstone. I look forward to working with Greg in the coming months to drive forward various initiatives in the c-Gaming initiative. The CGAO, in conjunction with the Canadian Gaming Association & Media Edge, will host the first of what will become an annual Community Gaming Conference with the focus on developing a Community Gaming Channel. This is focused on the commercial elements of what drives and engages consumers to visit our Centres. This conference is unique as it looks at what drives the business and engages the consumer. This is about engaging those who are in the industry to think and participate in discussion about how we can, on a broad front, enhance and enrich the contributions we make on a daily basis. The conference is open to anyone who is engaged with the Charitable Gaming sector, whether that is Bingo, Breakopen, Raffles, 50/50 Draws, Charity Representatives, Municipal Official, Crown Corporations and Suppliers (both Gaming & Non-Gaming). It is only through engaging all parties that we can have a 360 degree discussion on how we drive for effective change for the future. At the G2E Conference I had the opportunity to sit down with the CEO of the British Bingo Association [BBA], Mr. Miles Baron,to see how both organizations could work more closely together in the coming years and share our experiences and challenges. We agreed that we would keep in contact and commit to invite each other to our respected AGM’s in 2015. I therefore look forward to introducing Miles on the 28th May 2015 at our AGM here in Toronto. Since Miles appointment at the BBA, he has set about some dramatic changes and achieved a major success with the reduction on bingo tax in the UK in May 2014. The British community (bingo) market is experiencing a similar pattern to Ontario and is looking to re-define the retail experience. I look forward to working more closely with Miles to build a broader knowledge of the industry on a larger scale. Mr. Harry Gousopoulos - After completing his secondment to the OLG, working in the Corporate Compliance Division, Harry will re-join the AGCO in the Strategic & Corporate Division. I am sure you will join me in wishing Harry every success in his new role. In December 2012, the CGAO released its presentation deck, Customer Experience. This was designed in co-ordination with the c-Gaming OLG Team and CGAO Members, facilitated by Magrane Marketing (Ms. Marian Magrane). In speaking with Marian, we are looking at how this can be re-freshed and interlinked into the research undertaken by c-Gaming (RSG) in supporting the Commercial Operators in delivering a unique Customer Experience. As we move forward we will keep you fully updated on developments. At the last Strategic Working Group (SWG) it was noted that the Registration Classes and Registration Fees are likely to change in due course, probably in 2015. In terms of the Registration Classes, it is highly likely that the a Food Service (Cart) person will need to carry a Registration (Tier 2) to undertake their role on the Gaming Floor. This will not be required for individuals who conduct the majority of their duties behind the Food/Bar Service counter (as long as they are not handling gaming products). More details will be forthcoming shortly. The Registration Fees, which have not changed since 1992 with the introduction of the Gaming Services Act, later the Gaming Control Act, are likely to increase in 2015. I believe this will be a phased approach at the time of renewal. We are still awaiting formal details from the AGCO, which will be coming in due course but I wanted to flag this to the Commercial Operators so it is not a surprise. I have asked and invited the AGCO Representatives to our next General Meeting to present to our members any proposed changes. On the 16th October 2014, the Rank Group PLC issued an Interim Management Statement for the first 15 weeks of trading (of their financial year). It was announced that it had achieved a 3% increase in like-for-like revenues driven mainly by the performance of Grosvenor Casinos. It has also undertaken actions to strengthen the Mecca Bingo Brand and this is showing some positive signs. On the 25th September the Group opened a new casino in Southend and Mgt is pleased with the performance to date. In Mecca Bingo the revenue grew by 1% with the total brand revenue (Venues & Digital) flat year-on-year. Participation Fees were reduced to improve the value for money proposition while all other revenue streams grew in the period. Two venues were closed at Burnt Oak (London) and South Shields (North-East) and the leases surrendered during this period. The managing Director of Mecca Bingo has moved to be the Managing Director of Grosvenor Casino’s and as such Rank is carrying out an external search for a successor as Managing Director – Mecca Bingo.